Well, here is my attempt at trying a low calorie recipe… and to be honest these muffins taste like they are low calorie. Which is such a bummer, cause they looked and sounded so yummy, but I think I have some solutions of how to make these amazing. First, I wouldn’t use buttermilk, cause you can kind of taste it’s bitterness, so substitute for 2% milk, or if you wanna stay low cal. then use skim. This in itself would drastically help the flavor! Also, I wouldn’t fold the raspberries into the batter as the instructions tell you to do in the recipe. Instead try this, combine your 2 cups of either fresh or thawed raspberries with 1/3 cups softened cream cheese and 1 to 2 teaspoons sugar. 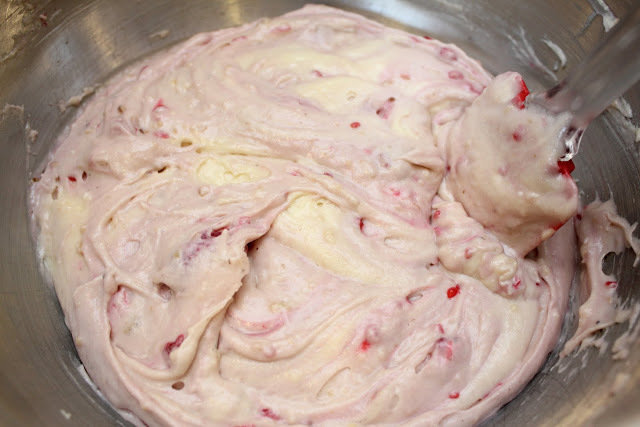 Mix this together well, so that it is an even consistency throughout and raspberries are broken apart. 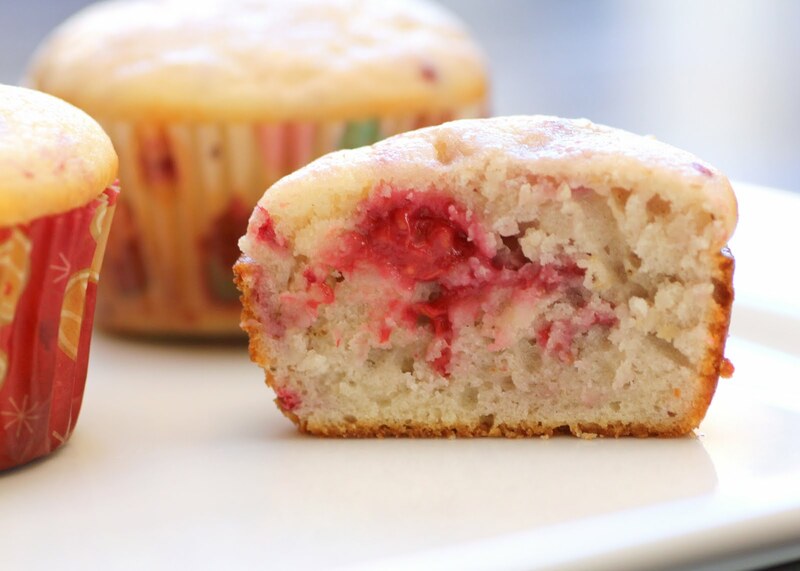 Add some batter to the muffin cups, fill with some of the raspberry/cream cheese mixture and then top with more batter, that way you can be sure that an equal amount of raspberries gets into each muffin. Using normal cream cheese might also help with the flavor, but like I said if you are wanting low calorie then use the 1/3 less-fat cream cheese. These are just suggestions though, I haven’t tried the modifications, so just play with it a little bit if you wanna change things up. Overall this recipe by itself was just ok, not bad but not great either. I think the changes could make them much better though. Enjoy!! Preheat oven to 350 degrees. 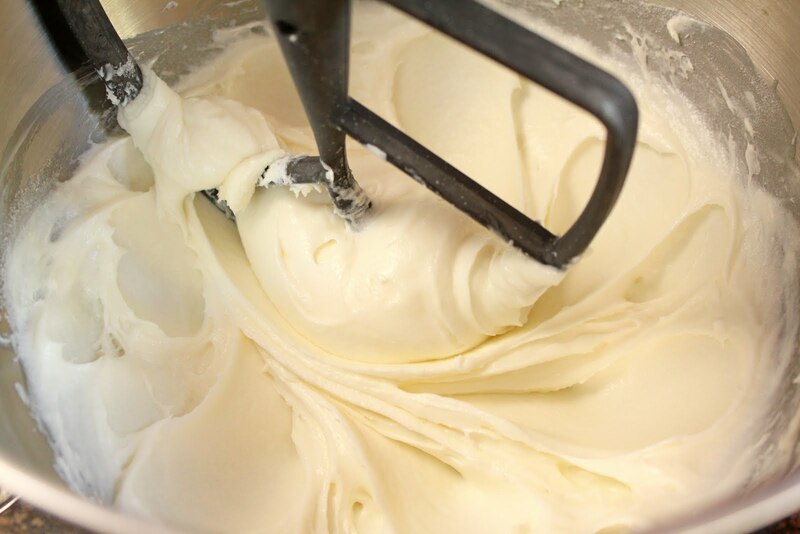 Combine cream cheese and butter in a large bowl. Beat with a mixer at high speed until well blended. Add sugar; beat until fluffy. Add vanilla, egg whites, and egg; beat well. Weigh or lightly spoon flour into dry measuring cups; level with a knife. Combine flour, baking powder, baking soda, and salt. With mixer on low speed, add flour mixture and buttermilk to cream cheese mixture, beginning and ending with flour mixture. Gently fold in raspberries and walnuts. Place 24 foil cup liners in muffin cups. Spoon batter evenly into liners, about 3/4 the way full. Bake at 350 degrees for 20 to 25 minutes or until a wooden pick inserted in center comes out clean. Remove from pans; cool on wire rack.